Worthings only seafront crazy golf course! 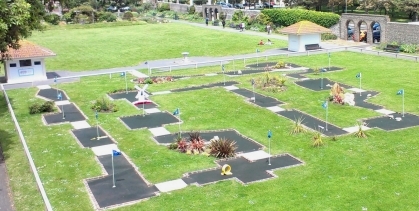 enjoy 18 exciting holes on Worthing's only seafront mini golf course! Group Bookings available by arrangement! We're home to the BMGA British Masters Mini Golf Tournament - check out last years event on YouTube Here! Group bookings available - please drop us an email.